When you get dressed, you probably spend time picking out your clothes, then adding accessories until the look is just what you had envisioned in your mind. The same goes for the exterior of your house. Even if you love the siding, brick, or other material you chose to cover your home, it may look incomplete to you until it has been perfectly accessorized. In this guide, you’ll see five ideas that will help you take the look of your house to the next level! 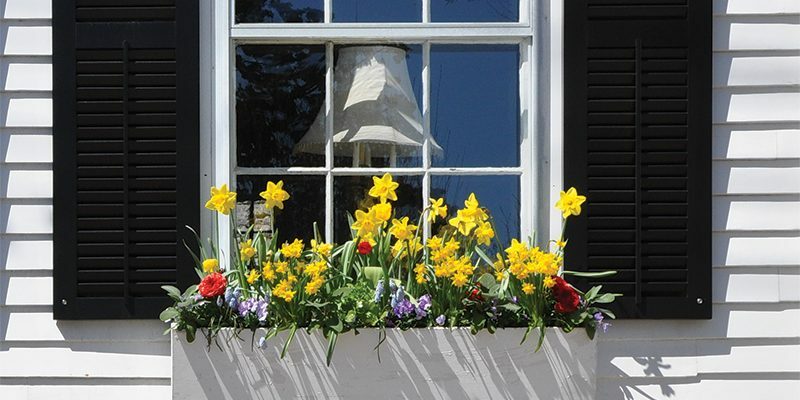 Window boxes – Adding window boxes that match the style of your home will instantly make your residence look more cheerful and inviting. If you live in an area of the Carolinas that has harsh winters, consider planting something in the pine family that will stay green year-round. If, however, you live in a mild, coastal area of the region, colorful flowers should survive most of the year, and you can supplement with ferns and other similar plants. Shutters – If your house doesn’t currently have shutters, adding them can give it a finished look. If it does have shutters, but you aren’t crazy about them, it’s probably because they’re too small for the scale of your windows; consider replacing them. Shutters can be a lot of fun for modern homeowners. Think of them like eyeshadow for the home; they are available in all kinds of hues, which can give your house the pop of color it needs to really stand out! A pergola – If you have a patio or a deck, adding a pergola over part or all of it will add visual interest to your home. Furthermore, pergolas marry form and function for homeowners throughout the balmy Carolinas. If you drape ivy or another type of hanging potted plant over the top of your pergola, it will provide shade as you sit outside during even the warmest months of the year. A cupola – Cupolas were once an extremely common architectural feature, but they aren’t used very frequently now. There are a variety of cupola styles homeowners can choose from, but traditionally, they feature weathervanes and can typically be found on houses in the country. Don’t shy away from a cupola above your entryway even if you live in a contemporary urban space, though! Trim – All houses have trim, specifically around windows and doors. Some, though, such as Victorian style homes, also have additional decorative trim. Making sure your trim contrasts with your siding is a great way to punctuate your home’s color scheme. Don’t be afraid to go bold. If, for example, you have a white house, using black trim will add sharp, dramatic contrast. You could also opt to use turquoise trim to give your residence a breezy, coastal look. At Hatch Homes, our team wants your house to look as amazing as you’ve always dreamed it could. We’ll work with you on projects big and small to enhance the appearance of your home’s exterior. Whether you live in Virginia or the Carolinas, give us a call today to get on our schedule in the near future. We can’t wait to meet you!